Power TV show on Starz: Season 2 canceled? The first season of Power recently finished airing on Starz, leaving fans of the TV show ready for a second season. The series was already renewed for season two which will start airing in 2015. But now, there are rumors that those plans have been cancelled. What’s going on? Created by Courtney Kemp Agboh and produced by rapper Curtis “50 Cent” Jackson, Power revolves around James “Ghost” St. Patrick (Omari Hardwick) — the owner of Truth, a popular New York nightclub. He seems to have it all; a successful business, a beautiful wife and an amazing Manhattan penthouse. However, his club is actually a front for a lucrative drug network. Ghost decides he want to finally leave the drug world and go legitimate but that’s easier said than done. The rest of the cast includes Lela Loren, Naturi Naughton, Joseph Sikora, Andy Bean, Adam Huss, Kathrine Narducci, Sinqua Walls, Luis Antonio Ramos, Greg Serano, and Lucy Walters. The rumors of the show’s cancellation are false and seem to stem from an article on a website called Cream Bmp Dail. The article reads, “Stars announced they will be cancelling the second season of hit show ‘Power’ until further notice due to creator and star 50 Cent pulling out due to an upcoming G-Unit reunion tour.” It’s been shared 3,250 times on Facebook — and most people who see the post likely don’t realize that its source is a satire site. 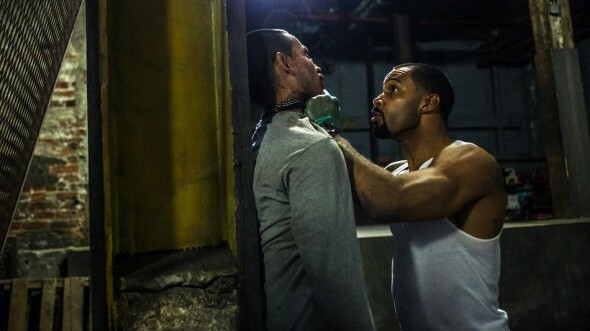 Season two of Power is set to start filming in September for a planned 2015 debut. What do you think? Do you like the Power TV show? Are you looking forward to season two? Did you get fooled by the article? would you be bring POWER back to the TV screen; wey or no ? Power is one of the most hippest shows around and no one is hotter than Omari Hardwick!